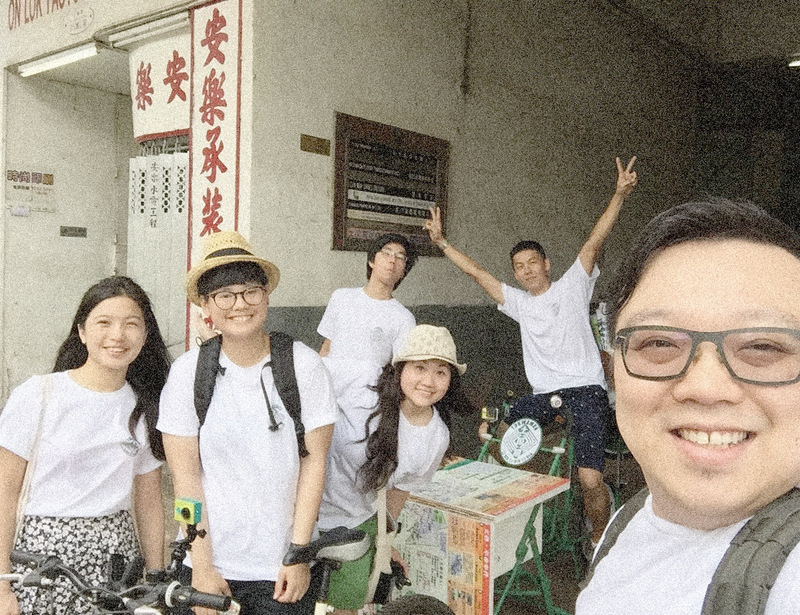 We are a group of makers, innovators and enthusiasts for Wheel of Things (WoT), and「Wheel Thing Makers 軸物行者」was established in 2015, a non-profit community fabrication shop located in To Kwa Wan, the local community in Hong Kong. By advocating the spirit of “Community of Practice”, on one hand we create bike-liked objects with functions for the communities, on the other hand, we provide various supports to other enthusiasts. Our mission is to support and promote the teaching, learning and practicing of design and fabrication by focusing in WoT, include bike creation, with the goal of making the world a place where creative local individuals are able give form to their ideas. Nowadays, bike to the city as a means of transport and in addition to the trend of device for green living, but also a cultural pursuit, representing closely to the community and serve as a gesture with the neighborhood. However, it can actually have more possibilities. Wheel Thing Makers is leading by Paddy, social planner and green bicycle inventor, Gary Chan , by creation of joint planning bicycle into the community project of the creative process , a means of innovation and community education , the creation of dedicated bicycle -related and share with the community, experience , innovation and reflect the different social significance. Visit to our blog at http://wheelthingmakers.tumblr.com/ to catch up our move!